When it comes to boosting your liver health and gaining antioxidant support, nothing quite compares to taking an N- acetylcysteine supplement (NAC). There are multiple benefits of NAC, including boosting the body’s ability to neutralize free radicals by promoting glutathione production, which is essential for optimal immune, neuronal and cardiovascular health.NAC (sometimes known as n-acetylcysteine or N-Acetyl Cysteine) was developed as a supplement during the 1960s and helps break down excess mucous within the body, which can aid respiration, as well as support brain health. Product labels may vary. Same formula. New look. GREAT ANTIOXIDANT SUPPORT FOR YOUR LIVER-Free radicals can cause oxidative damage to your liver, but NAC is necessary for the regeneration of glutathione, a potent antioxidants that binds with and neutralizes free radicals. 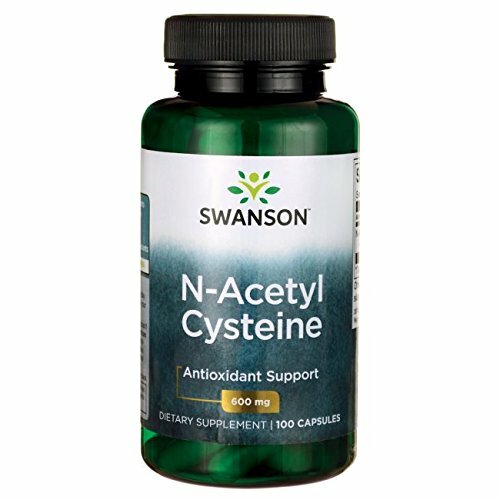 NAC is the stable form of the amino acid L-Cysteine and works to stabilize the formation of protein structures, which supports cellular health. DELIVERS 600MG OF ACETYL CYSTEINE-NAC has earned a reputation as a free radical scavenger due to its ability to promote glutathione preservation, which helps prevent oxidative damage while also having an antiaging effect. TERRIFIC DETOX SUPPORT-The thiol groups within NAC help to bind with heavy metal toxins like herbicides, mercury, cadmium and lead as well as environmental pollutants, which works to inactivate them.